Once you’ve booked your flights to Japan and a holiday package, or accommodation, you’ll be filled with joyful expectations. ‘When I arrive in Japan, I want to go to an Izakaya pub, Onsen, hot springs, eat Ramen, see cherry blossoms, autumn leaves, snowfall and more! !’ And you will do a lot of study about Japan. Then many questions will pop up. 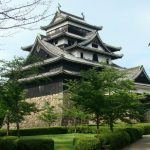 With these ‘5 Things that are good to know before you go to Japan’ we’ll provide you with some of the answers you might be looking for. 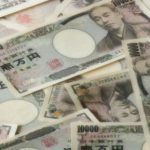 What clothes do I bring/wear in Japan? Japan has four very distinct and recognisable seasons (四季, Shiki). Once it is in a particular season, the temperature is comparatively stable during the daytime. So, what clothes to take will be dependent on the season you will travel to Japan. Here are the average temperatures and the rainfall/snowfall in major cities. There is quite a difference in temperature during spring. We suggest that you bring a spring coat, light jacket, shawl, or something you can fling on during the cooler days and nights. It is quite hot and humid during the Japanese summer and you should pack light clothes. There is no dress code for visits to a temple or shrine, however, they are sacred places so it is not ideal to dress for the beach. Common sense clothing is recommended. The weather in autumn is similar to spring and the temperature starts to drop off as winter approaches. Winter is cold in Japan. You should carry a winter jacket, overcoat or sweaters. But indoors are generally heated, including the trains, so it can be quite warm inside. 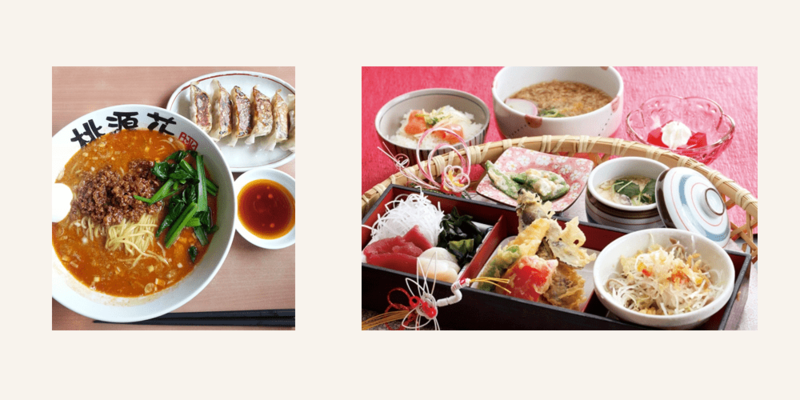 When it comes to Japanese food, what picture do you have in your head? Sushi, Sashimi, Yakitori, Tempura, Okonomiyaki, Ramen, Edamame… Japanese food captivates many people all over the world and is very popular in Australia too. It is healthy and simply delicious! Pricewise, one meal (for 1 person) would be 500 ~ 1,500 yen (approx. $5.5-16) for lunch and 1,500 ~ 3,000 yen (approx. $16-32) for dinner at a basic restaurant/cafe/eatery. Gurunavi –the Japan Restaurant Guide – will be very useful in finding a dining place – from eateries, ramen shops and Izakaya (居酒屋) to high end restaurants and restaurants listed on the Michelin Guide. – When you use chopsticks, do not stick them in your rice so that they stand up. This is related with a funeral ceremony in Japan, where a bowl of rice, with chopsticks standing up vertically, is placed on the altar of the deceased. – When you serve or share a piece of food, do not pass it from chopsticks to chopsticks (even if you help to hold food for someone to cut). A piece of food should not be held, using chopsticks, by more than one person. This is one of the biggest taboos when eating as it is resembles a funeral custom where the cremated bones of the deceased are transferred to the urn. It might be hard to imagine how these things are related with eating a meal. However, when in Japan, do as the Japanese do! It is common for the toilet and bathroom to be separate in households in Japan (except studio flats or similar facilities). Because there is a “bath culture”, most people take a bath at the end of the day to relax before getting into bed. 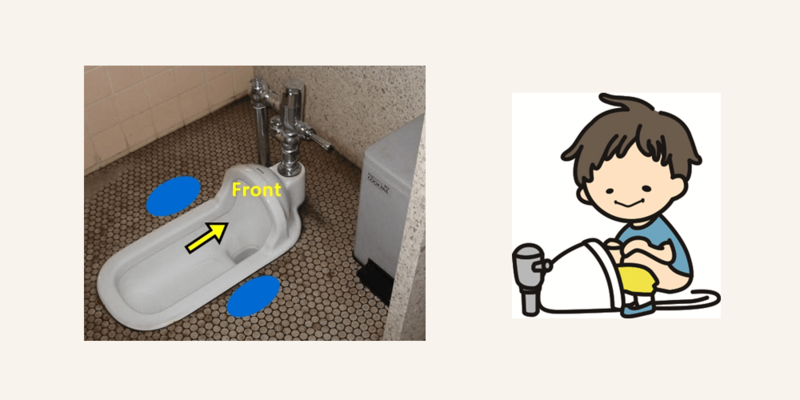 They are typically sharing the hot water in the tub with their family (or even with strangers at an onsen (温泉), hot springs), therefore, before you sink your body into a bath tub, you need to clean yourself off. It is required to have a space to wash your body – and also you can splash water everywhere in a bathroom! This is the main reason they are split into two zones. At hotels, whether the toilet and bathroom are separated is dependent on the facilities or the type of room at hotels, but when you are at an onsen, hot spring, you must wash your body before soaking into a lovely onsen bath. This is the most important manner when you take a bath in Japan. 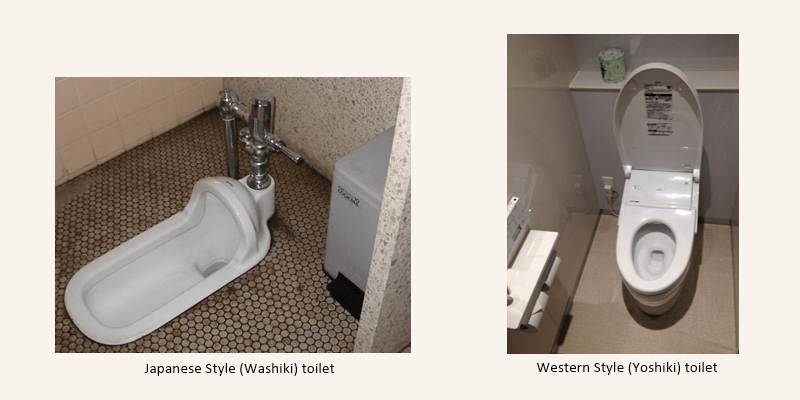 The Japanese toilet has two types – Japanese style (washiki, 和式) and Western style (yoshiki, 洋式). You can tell just by their looks – refer to the photos below. Turn your face towards to front, step across the toilet bowl, put your feet around blue marks (see below). Pull your pants down/tuck your skirt up. Don’t forget pull your undies down!! Squat down, facing the water hole in the toilet bowl. Flush using the handle above the toilet bowl. If you cannot find any handles or levers on the side of the toilet, there is usually a flush button on the top of the panel. “流す” (Nagasu) means flush. There are usually two flush modes, “large (大)” and “small (小)”, the difference is in the volume of water used. You will see these symbols are on the lever as well. You will witness many people wearing a mask in Japan. It might be a strange sight to you, but not all of them are for illness. Some people might be sick with a cold, bad cough or something like that. These people wear a mask to avoid infecting others. Even excluding sick people, there are still heaps of others who wear a mask! Why is that? For the large part, it is a way of infection prevention and people use masks to avoid becoming sick. Another example is where a person suffers from hay fever and they wear a mask for the purpose of etiquette. Recently, some people put a mask on their face for the sake of just covering their face (like girls who have not yet put on their makeup or people who have an inferiority complex because of their own face – I believe this is related with one of the Japan’s unique cultures, which is to take care over your appearance). A person wearing a mask does not mean that they are a robber or are on their way to, or from, a heist!! 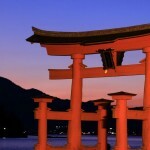 Japan is a clean country and has one of the highest levels of safety with a low crime rate. However, being prepared in relation to self-security and taking out travel insurance is recommended. More information is available on the government’s Smartraveller website. It would be ideal to travel with compact and lighter luggage when you travel around Japan. However, on a longer journey, it can’t be helped that your luggage might be bigger or even if you have to carry multiple suitcases. 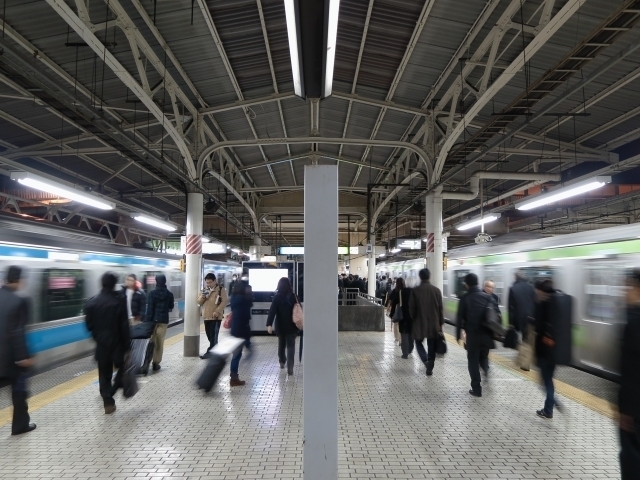 Here are some effective and convenient ways to manage your luggage in Japan. 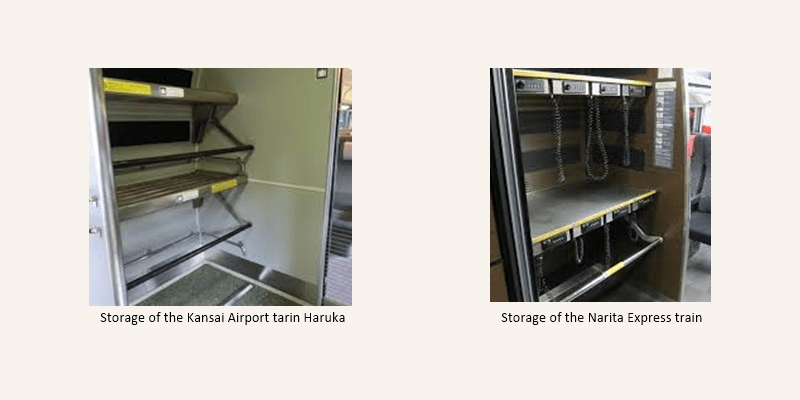 Airport trains (Narita Express and Haruka) – they have a space for storing large pieces of luggage just beside each door of the trains. 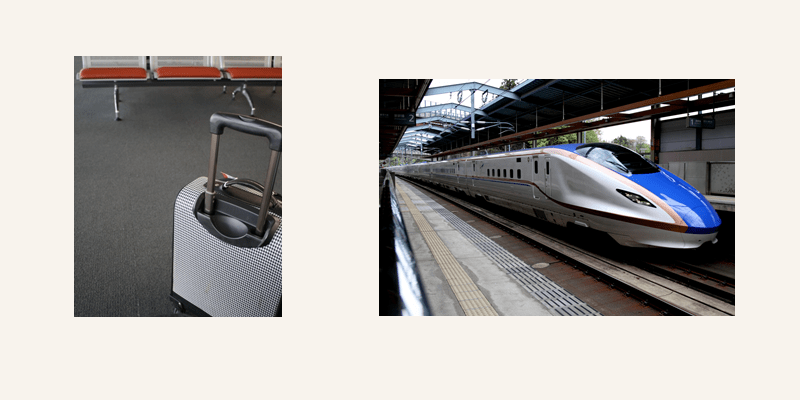 Bullet trains (Shinkansen) and Limited Express trains – All bullet trains and some limited express trains have a space which fit a couple of large suitcases behind the last row of seats on each carriage. However, it is a small space therefore it might be already occupied. There is an overhead rack, but large suitcases won’t fit in there. 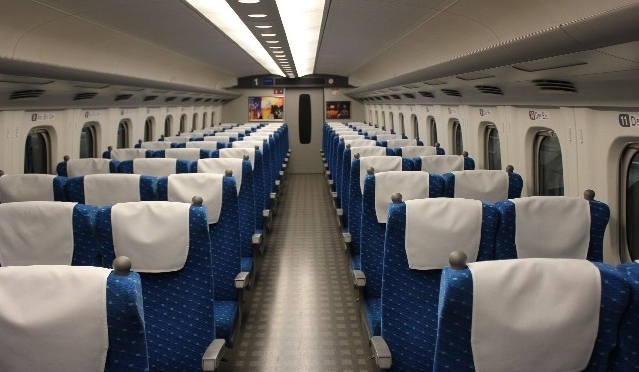 The leg room in a bullet train is approximately 98~104 cm (ordinary reserved car), it is quite spacious, and there is enough room to house your luggage in front of you. 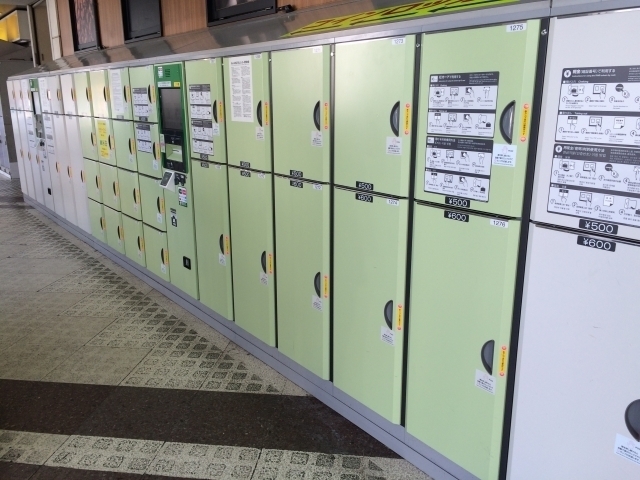 Coin lockers are available at many train stations, airports and some of the major sightseeing spots or attractions. If you are planning to stop by a place for a little excursion before heading off to your final destination of the day, using a coin locker at the station will be a good idea, and handy! However, typically, there is only a small number of large-sized lockers, so you should not rely on a locker for your large baggage to be available. Bringing an overnight bag and packing your toiletries and other stuff for 1 or 2 nights would be a better option and you can use the small or middle-sized coin lockers. What about a large suitcase? Also available in Japan is a luggage sending/delivery service. Depending on your itinerary, I recommend that you bring an overnight bag to pack for 1 or 2 days of travel. You can send your large suitcase to your accommodation at your next destination using the luggage delivery service. This service is available throughout Japan, from and to Narita/Kansai Airport, hotels, convenience stores and private homes. The cost will be approximately 1,000~2,000 yen ($11~22), depending on the size and weight of the luggage and where you want to send it. Most hotels will help with the luggage delivery service, feel free to ask the hotel staff at the reception desk, or a concierge if available.